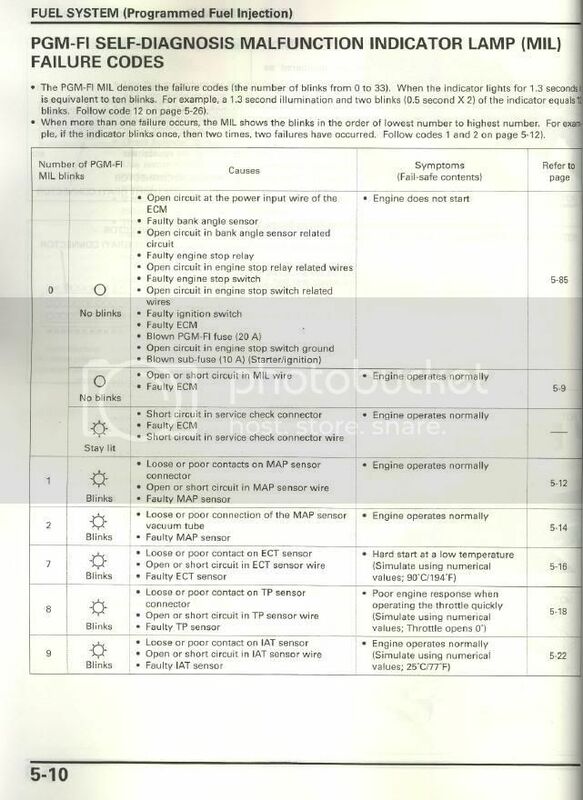 Technical Car Experts Answers everything you need: Fi light error code for honda 2005 cbr 600 rr? Tum the ignition switch OFF. 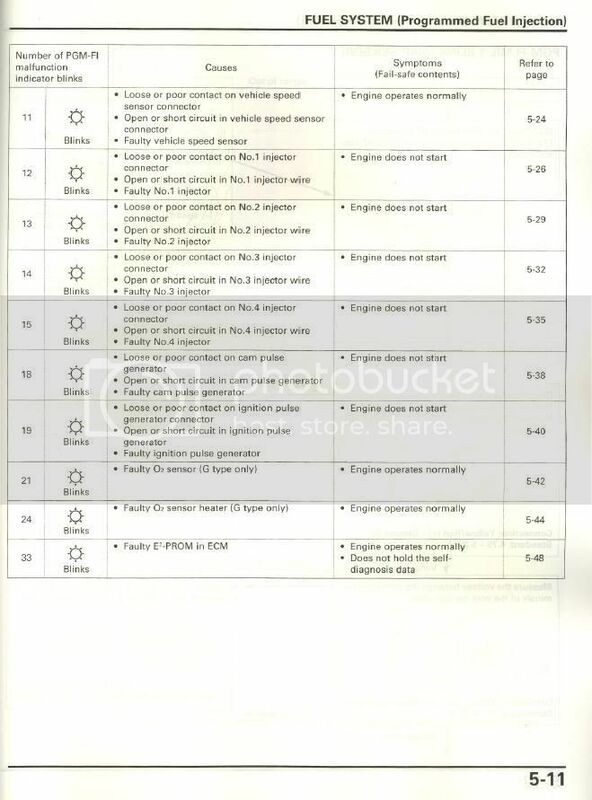 Remove the seat .Short the PGM-FI system service check connector terminals.using a jumper wire.Tum the ignition switch ON and engine stop switch RUN.Even if the PGMFl has memory data, the MIL does not blink when the engine running. 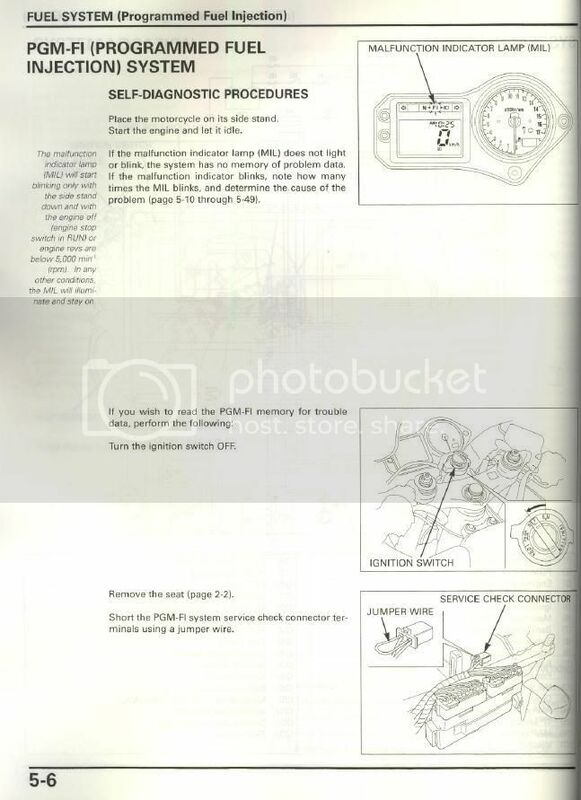 1.Tum the engine stop switch RUN and ignition switch OFF. 2. Short the service check connector of the PGM-FI system using a jumper wire. 3. Tum the ignition switch ON. 4. Remove the jumper wire from the service check connector. 5. The MIL lights about 5 seconds. While the indicator lights, short the service check connector again with the jumper wire. Self diagnosis memory data is erased, if the MIL tum off and start blinking. the indicator lights. If not, the MIL will not start blinking. 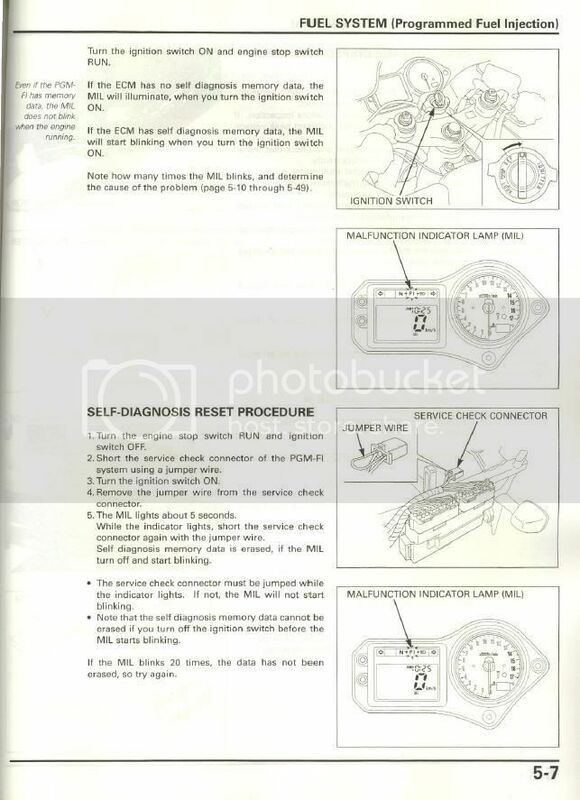 Note that the self diagnosis memory data cannot be erased if you tum off the ignition switch before the MIL starts blinking.